Five active boys get spiffed up to celebrate their favorite babysitter’s wedding. “When I arrived at the house that first day, I was surprised to see two … then three … then FIVE little boys! And that’s how Molly became the best thing since Mac and Cheese at the Oberting household! Molly helped Judy and her husband Kip maintain some semblance of sanity in their household during those challenging early years. But more than anything, Molly grew to love that fivesome — and they adored her. Sometimes babysitters become more than just sitters — they become an extension of your family. So, when the invitation to Molly’s wedding arrived, Judy, Kip, and the boys knew this was an event that they could not miss. They loaded up the boys in their Suburban, and made a long weekend of it! 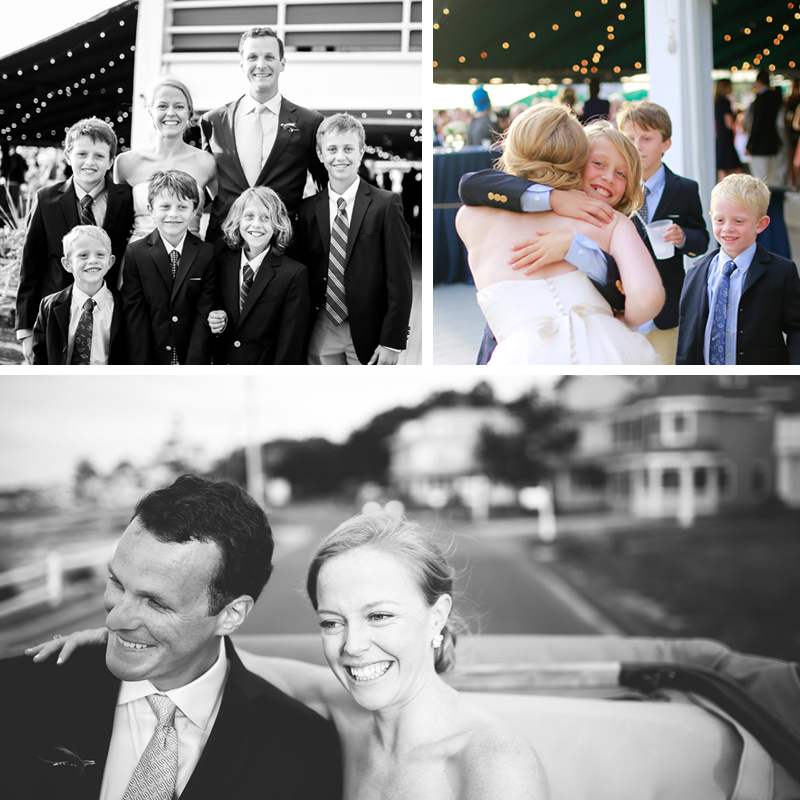 How wonderful it was for the whole Oberting family to share in Molly’s special day!